Raleigh, NC – August 30th, 2010 – All Lift Chairs, a leading online retailer of medical lift recliner chairs, unveiled a new section of their website devoted to providing customers more in-depth information about their company and the products they carry. The new section of the site spans five pages and illustrates the quality, luxury, and customizability of All Lift Chairs' vast selection of lift recliners. All Lift Chairs' newest content additions also include: a section on luxury lift recliners that are affordable and comfortable for any home user regardless of physical disability; a guide to the types of upholstery fabrics which can be applied to their selection of chairs; and a glossary of lift chair terms used in product descriptions and owners' manuals, which the company hopes to improve over time. The glossary includes an email address for customer feedback, so visitors who don't find the information they're seeking can let the All Lift Chairs staff know that additional details are needed in the document. The new onsite informational guide can be accessed at http://www.all-lift-chairs.com/lift-chair-guide.htm. A leading online retailer of lift chairs based in Raleigh NC, All Lift Chairs also sells mobility aids for other areas of the home, including bath and toilet lifts, walk-in tubs, and luxury bidet systems. 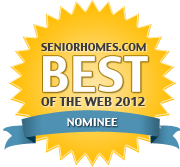 They are committed to providing quality products, discount prices, and free shipping on every order. 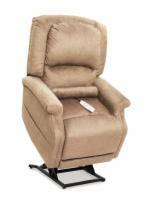 Every lift recliner sold by All Lift Chairs includes a one-year in-home service warranty with purchase. To see their full selection of luxury lift chairs and assistive mobility aids, please visit http://www.all-lift-chairs.com/.